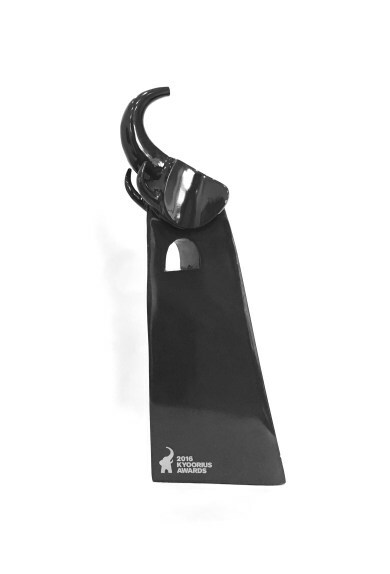 I-AM, the international multi-discipline branding and corporate identity services india, has won the Blue Elephant- Retail Design at the Kyoorius Design Awards 2016. The gala award ceremony took place on October 1, 2016 at Fairmont, Jaipur, and I-AM bagged the prestigious award on account of the innovative creative work executed for IDFC Bank. This win adds another feather to I-AM’s creativity and inventiveness in the Retail Design domain. I-AM had recently won the Indian subcontinent’s Largest Retail Design and Visual Merchandising Award for IDFC Bank, in the ‘Service Retail – Specialty Store’ category. IDFC Bank Ltd. is an Indian banking company with headquarters in Mumbai that forms part of IDFC (Indian Development and Finance), an integrated infrastructure finance company. The bank serves corporate and private customers in India including the infrastructure sector that IDFC specialized in from its founding in 1997. The bank also aims to provide services to people in rural areas and to the self-employed. The Kyoorius Design Awards recognize, honor and award the most outstanding creative work in the Indian visual communications sphere. Conceptualized by Kyoorius in association with D&AD, these awards recognize excellence in the brand design agency india and visual communication domain pan India and ensure a truly principled and neutral platform by setting the highest standard in judging criteria. The Blue Elephant is recognised as a symbol of the very highest creative achievement. 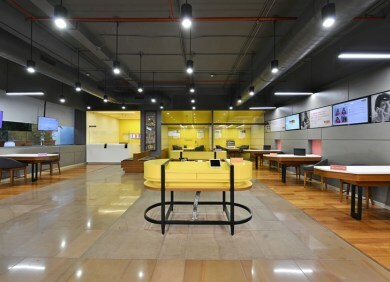 I-AM had conceptualized and designed IDFC Bank’s revolutionary branch design with a highlight on the Bank’s USP of being professional, friendly and approachable. I-AM continues to partner IDFC Bank in rolling out this brand new imagery to further reconsolidate their message of offering a fresh new way of banking across the country. I-AM is a design-led branding agency which creates 360° brand experiences that delight customers, builds brand advocacy and drives business performance. The agency offers services, spanning from the creation of Brand Identities, Brand Strategies, Physical and Virtual Environments and even Commercial Interior Design spaces. I-AM is reputed for these services around the world, across various industries such as Fashion, Finance & Banking, Food & Beverage and Real Estate, amongst many more.